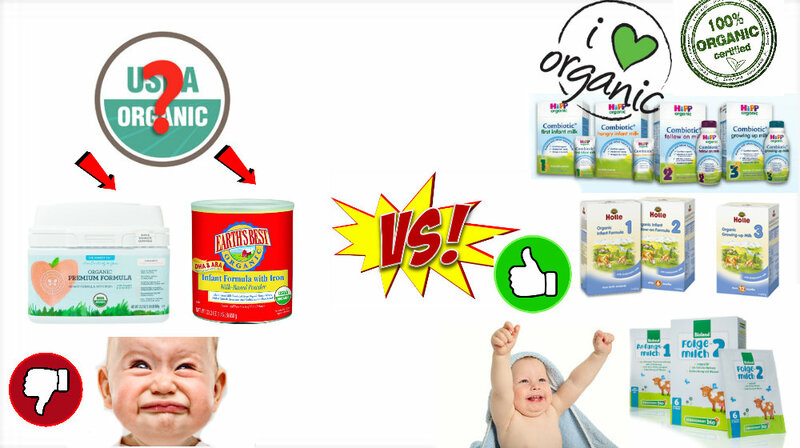 Below you will find an article talking about how Honest Company and Earths Best two of the most popular baby formulas in America are being sued and accused of not actually being organic. This is something we at Organic Start have been talking about for a long time, warning parents of such non-organic formulas on the market. If you haven't changed your babies formula to one of our German formulas, I hope this lawsuit will give you the push for a better, healthier and real formula for your baby. If you have a loved one that is currently feeding baby formula, please share this with them and tell them to switch to Hipp, Holle, or Lebesnwert. Luckily you can buy these German formulas that are truly organic here at Organic Start. Click here to look through all our formula products. If you have any questions, or aren't sure what to choose, send us an email here, we can help! Click here to buy Holle Formula. Click here to buy HiPP Formula. Click here to buy Lebenswert Formula. Two Infant formula makers accused of labeling products organic.